Info: Created on 4th November 2014 . Last edited on 2nd December 2014. Nice! I think you're a little late, though. I remember that it was published within the time limit. 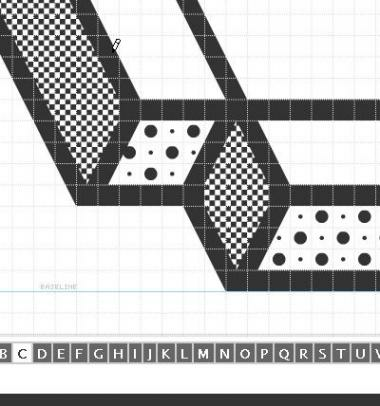 Combining a pixel font and a 3D is a good idea! Final output is great! I like how you have applied tonal value to this one. It looks great at pixel size. Merci beaucoup architaraz and naveenchandru, I appreciate it. FOUR: I had a commodore 64 when I was a teenager. Good luck! I like it a looooot! Great lefty point of view. @Upixel - There appears to be a stray brick between the "s" & the "t". Way cool and way better than my entry. :P anyway, I do think that the middle bar on the lowercase f is a little high - it sort of mushes with the top of the f. Awesome font though! Congratulations! FontStruct Staff have deemed your FontStruction worthy of special mention. 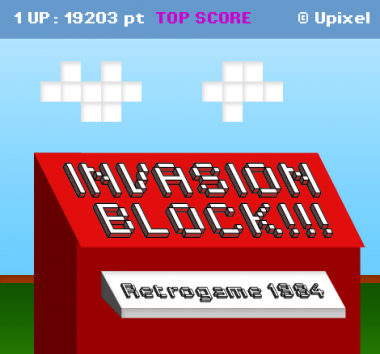 “INVASION BLOCK” is now a Top Pick. Bravo pour le TP, mon ami! C'est une belle typographie! please adjust the width of V. other letters could overlap with it! I think/hope brynda1231's suggestion is from the past ("V" works fine with me right now, or did I overlook a faulty combination? ).